All classic rooms have a flat LCD remote control T.V, hospitality tray, an iron and ironing board. 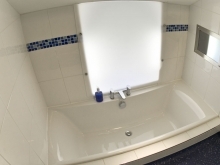 Each classic room has a full en suite bathroom complete with bath and/OR shower, a hairdryer and complimentary toiletries. Classic rooms are ideal for business and leisure stays. All classic rooms have a flat LCD remote control T.V, hospitality tray, an iron and ironing board. 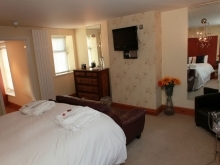 Each classic room has a full en suite bathroom complete with bath and shower, a hairdryer and complimentary toiletries. Classic rooms are ideal for business and leisure stays. 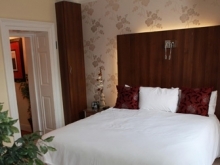 Feature rooms are situated in the original house which dates back to 1654, we have kept a lot of the Victorian and Edwardian furniture and blended it with a modern yet contemporary feel. These beautiful rooms offer a more luxurious feel, a kingsize bed and a comfortable sitting area. Family Rooms offer all the facilities as a classic room. With both comfort and functionality as priority, family rooms offer a double bed and single bed/sofa bed. All family rooms have a remote control T.V, hospitality tray, an iron and ironing board. Family rooms are ideal for leisure stays and families visiting the area. With both comfort and functionality as priority, family rooms offer a kingsize bed and double sofa bed. All family rooms have a remote control T.V, hospitality tray, an iron and ironing board. 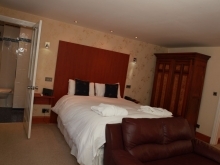 Family rooms are ideal for leisure stays and families visiting the area.